A University of Arkansas researcher is part of a team of astronomers who have identified an outburst of X-ray emission from a galaxy approximately 6.5 billion light years away, which is consistent with the merger of two neutron stars to form a magnetar—a large neutron star with an extremely powerful magnetic field. Based on this observation, the researchers were able to calculate that mergers like this happen roughly 20 times per year in each region of a billion light years cubed. 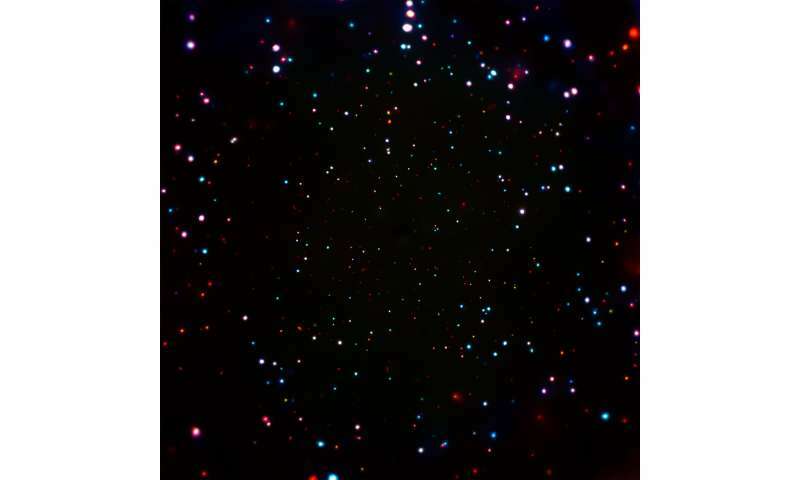 The research team, which includes Bret Lehmer, assistant professor of physics at the University of Arkansas, analyzed data from the Chandra X-ray Observatory, NASA's flagship X-ray telescope. The Chandra Deep Field-South survey includes more than 100 X-ray observations of a single area of the sky over a period of more than 16 years to collect information about galaxies throughout the universe. Lehmer, who has worked with the observatory for 15 years, collaborated with colleagues in China, Chile and the Netherlands, and at Pennsylvania State University and the University of Nevada. The study was published in Nature. A neutron star is a small, very dense star, averaging around 12 miles in diameter. Neutron stars are formed by the collapse of a star massive enough to produce a supernova, but not massive enough to become a black hole. When two neutron stars merge to become a magnetar, the resulting magnetic field is 10 trillion times stronger than a kitchen magnet. "Neutron stars are mysterious because the matter in them is so extremely dense and unlike anything reproduceable in a laboratory," Lehmer explained. "We do not yet have a good understanding of the physical state of the matter in neutron stars. Mergers involving neutron stars produce lots of unique data that gives us clues about the nature of neutron stars themselves and what happens when they collide." A previous discovery of two neutron stars merging, which used gravitational waves and gamma rays to make the observation, gave astronomers new insight into these objects. The research team used this new information to look for patterns in Chandra Observatory's X-ray data that were consistent with what they learned about merging neutron stars. 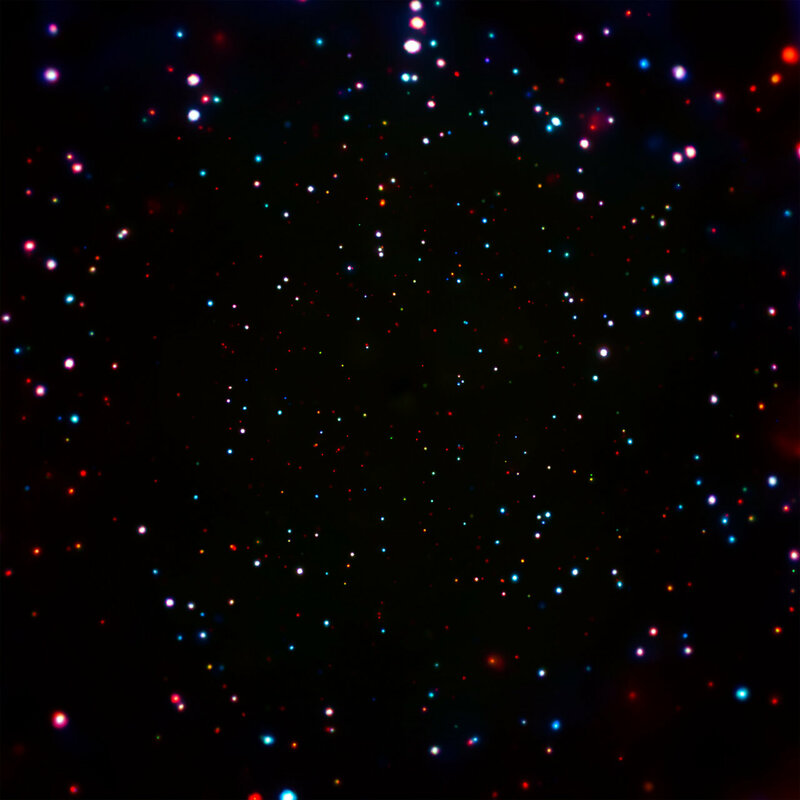 The researchers found an outburst of X-rays in the data from the Chandra Deep Field-South survey. After ruling out other possible sources of the X-rays, they determined the signals came from the process of two neutron stars forming a magnetar. "A key piece of evidence is how the signal changed over time," said Lehmer. "It had a bright phase that plateaued and then dropped off in a very specific way. That is exactly what you'd expect from a magnetar that is rapidly losing its magnetic field through radiation." Similar calculations about the rate of neutron star mergers have been made based on the mergers detected by gravitational waves and gamma rays, strengthening the case for using X-ray data to find such exotic merger events in the universe.